Club Penguin Cheats by Mimo777 Club Penguin Cheats by Mimo777: Club Penguin Message: Jet Pack Guy! 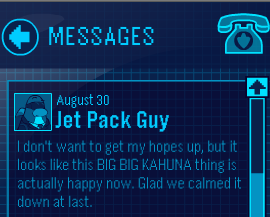 Jet Pack Guy has sent us a new Club Penguin message! Remember to check out this weeks field op!